The Summer holidays are finally here and it is time to unleash the explorer in you. I know it will be tough to leave Glasgow this year as it seems like the place to be in 2014. If you do however fancy starting an adventure further afield why not take along some of our wonderful travel inspired gifts now in store and on the Website? I love that the Great British Sewing Bee has inspired Britain to dig out their needles and threads and start sewing again. Sewing classes are popping up everyday now and I really recommend checking out Sew Confident based in Glasgow. I went along to one of Jenny's classes as a beginner and by beginner I mean that I had never used a sewing machine before! Lucky for me this wasn't an issue. Jenny was a great teacher and was very patient. Her classes are fun and I left feeling very inspired! So, if like me you have caught the sewing bug and love anything to do with it you will absolutely love our new & Sew range we have both in store and on the Website. A collection of beautifully illustrated Bags, Wallets, Wash Bags and more! Dare I say it but it feels like Summer is finally here at last, Yey! Pastels are huge this season and here at Maia we always love to be bang on trend. For those who love to rock a bright yellow and lets face it who doesn't? We have a beautiful new Carnaby Collection from Disaster Designs that just screams sunshine. So whether its a funky wallet or a pretty hip flask stay in style all Summer with Maia! 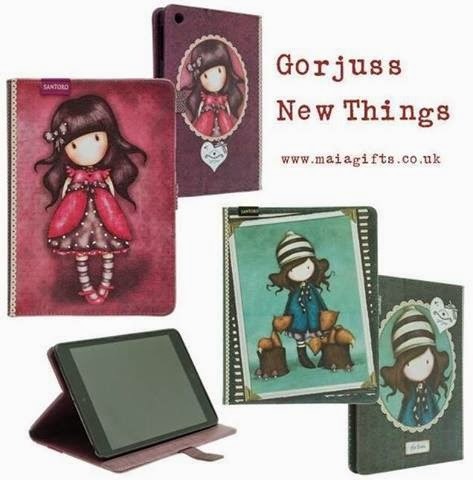 We have been busy bees here at Maia adding all our new Gorjuss items to the website so you can now see the whole collection online. So if you love the cute designs you can now shop all Gorjuss bags, purses, wallets, cards and lots more all on the Maia Website! Whilst the Bride and Groom are planning the most magical day of their life finding the perfect gift for them can be very overwhelming. 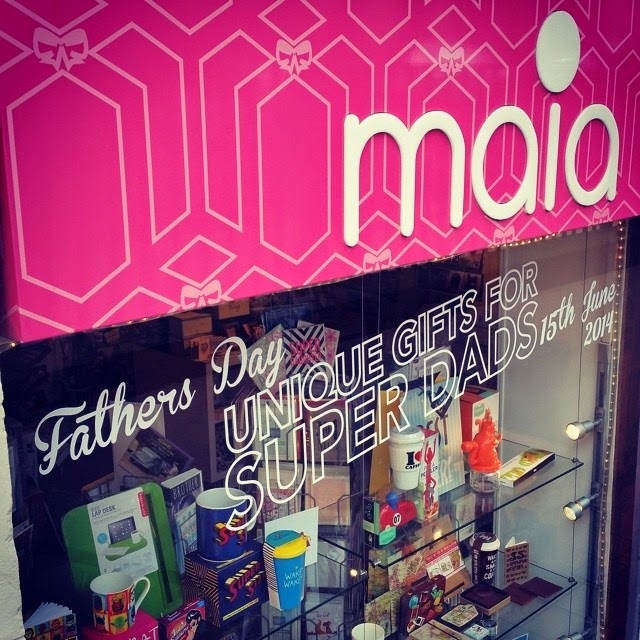 Here at Maia we have beautiful gifts and cards for the special couple on their big day. If you are looking for something traditional we have a wonderful selection of gifts including horseshoes, lucky sixpences, pretty garters and stunning champagne glasses. For something a little different we have Memory books and Boxes, Wedding Planners, Wedding inspired Books, Mr & Mrs trinkets and lots more! So if you are struggling to find the perfect gift why not pop in store or visit our Website for a truly special collection of Wedding Gifts. Who can believe it is that time of year again when thousands of music lovers arrive in Balado for the biggest festival of the Summer. T in the park is celebrating it's last year on the Balado site with an amazing line up. Arctic Monkeys, Calvin Harris, Paolo Nutini and Pharrell Williams to name a few this year looks like its going to be a good one! Although weather forecasts are predicting good weather us Scottish folk know that rain can threaten at any point. We have some super funky rain ponchos and festival feet that will keep you looking totes cool when jiving the night away. So if your heading to Buchanan Bus Station on Friday, Saturday or Sunday remember to stop by Maia and pick up your quirky poncho!